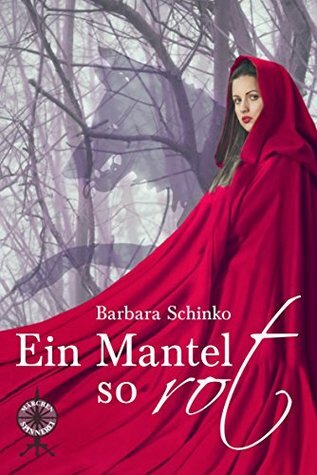 As part of the Fairy Tale Summer/Märchensommer you get my review for Ein Mantel so Rot (A Cloak as Red) by Barbara Schinko. It’s not enough that the war has taken its toll on the land, but when Zoyas husband Venko returns to her as a wolf she can’t fathom what misfortune will befall her and her village. Right away they call him a “Raging Wolf” and Zoya has to fear and fight for her love. Will she succeed in breaking the curse? Little Red Riding Hood meets a human wolf in a tsarist-era in this mature adaptation by the Märchenspinnerei. When I first saw the book in comparison to the others I couldn’t keep in the chuckle at how adorably short it is. At the same time did I fear that the 118 pages might be too short to tell a round story. Dude, was I wrong. The story is divided into two parts and an epilogue telling the story of Zoya in chapter-like episodes without actual chapter titles. Within these chapters the sentences themselves are rather short as well. It was weird at first if you’re used to elaborate writing styles, but I soon realized that no more description was needed to create the fitting atmosphere and the characters. E.g. are those scenes were Zoya interacted with the other villagers or was with a man only shorty or vaguely described, but that didn’t mean you didn’t get a bad feeling about some of them. The only thing that irritated me a bit was that I couldn’t properly sort the story into a time frame (tsar-time) and fully understand the references to old (Russian?) burial traditions and beliefs. Though they are well enough incorporated and it isn’t necessary for the Fairy Tale to fully understand those things, but it still feels like I’m missing out on something to fully understand Zoyas world. The tone is completely different to the first Märchenspinnerei-book and much more mature. It’s a nice change. 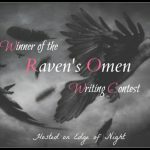 Through the short descriptions no real connection to the characters is created, yet you can still feel the atmosphere they leave behind and you get a certain feeling about them. And I still wanted things for Zoya to get better. She’s an interesting character that goes through a lot during the story and makes a few decisions that are bad for her and I can only attribute some of them to her gradual decent into madness. Her way is interesting to follow and I was relieved once she figured some things out for herself. I’m still amazed at Zoya. To make such decisions, to make such sacrifices that can’t have been easy and yet she continued to go her own way and I think that’s what impressed me the most. We don’t learn much about Venko, her husband, but what we do is enough to know that he deeply cares about her, which can even be seen when he’s a wolf. Another interesting twist on the original Fairy Tale was the grandmother. In the beginning there was the memory of Zoyas grandmother aiding her, towards the end there was an old woman taking up the place. In the beginning I was skeptical about the length and the writing style of the book, but that soon changed. The short sentences and scarce description created a thick atmosphere where at some point it did no longer matter how detailed things were described. My personal highlight was the usage of the wolf pelt, as I have mentioned above, as that is really something modern werwolf stories usually ignore. In addition to that did the story manage to surprise me twice, both times at the end of each part. I didn’t expect them and the real ending was good and I believe somewhat important. Not every Fairy Tale can have a Happy End. The story alternates between relatively realistic and truly fantastical and is definitely something for more experienced readers. 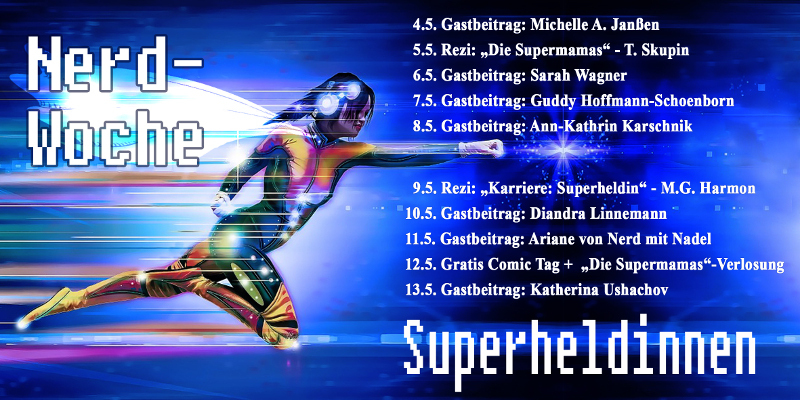 On Thursday you’ll get an interview with Barbara about the book and some other Fairy Tale related stuff. And you’ll also get an update on the Neubrandenwolf, tomorrow. So stay tuned! Plus: This is a scheduled post as I’m off to the Rockharz again. Accepting any comments will probably take me until Sunday/Monday. 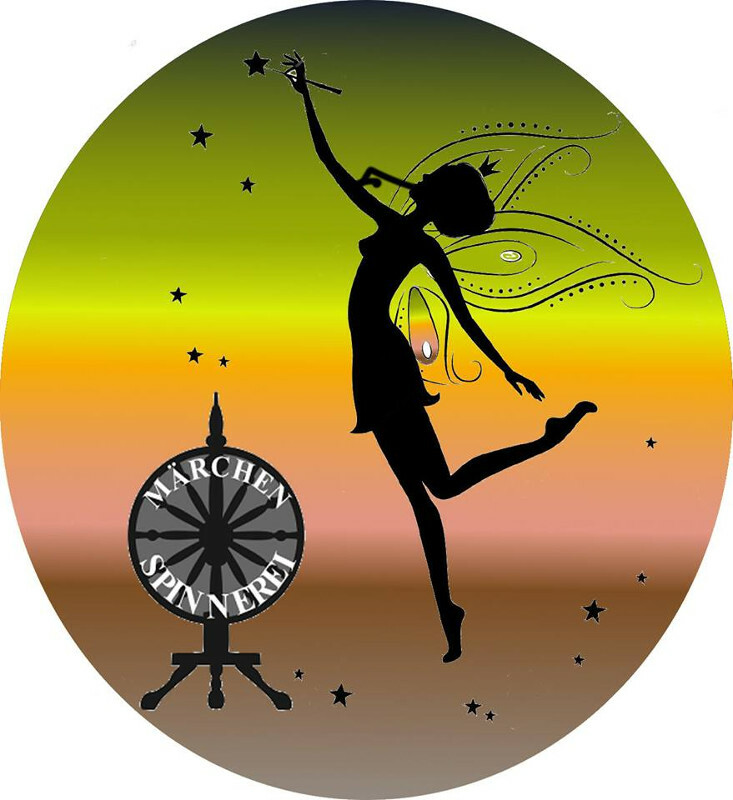 Sorry, for that, but I hadn’t expected that the Fairy Tale Summer would become this big…I already suffered for this decision as I had to prepare last weeks, this weeks and next Mondays post ahead of time…. Usually a review on [The EXTREMIS REVIEWS] is for a Comic Book volume, detailing what is happening and how the overall storyline is coming along. This one is instead about a TV series and also a bit different. Supernatural by Eric Kripke is more or less a monster-of-the-week mystery drama show that started into its tenth season in the beginning of October. Because (nearly) every episode follows a certain pattern a proper review – episode by episode – would be rather redundant. Therefore I’ll give an overview of the storyline and a few important plot points so far, so that you will be well prepared for catching up. The brothers Sam and Dean Winchester set off to find their father John, who hasn’t returned from a hunting trip. Though, unlike normal families the Winchesters do not hunt game, but monsters; especially an yellow eyed Demon that killed their mother by pinning her on the ceiling and burning her alive. While not able to defeat the Demon, the boys at least manage to meet up with their father. He tells them of a weapon – a Colt, whose bullets can kill Demons – which he wants to use on their mutual enemy. Playing cat and mouse with the fiend, the three of them end up badly injured, after a Demon-possessed driver sends his truck crashing into their Impala. From this short storyline you can see that the first Season focused on gaining its footing and showing off the vast collection of monsters the two protagonists would be facing. The term monster-of-the-week-show can be used here as each week there is a different foe, with the big bad lurking in the background. A Ghost’s remains need to be salted and burned; Vampires have to be beheaded and Silver Bullets do the trick with the Big Bad Wolfs. With the Colt there is also a way to get permanently rid of Demons, whereas exorcising them would send them simply back to Hell. In this Season we are not only introduced to the key characters – Sam and Dean, and to some extent John and the yellow eyed Demon – but also to some of the key elements of the show. As mentioned before is most notably the monster-of-the-week theme. While a (version of a) monster might return, it is rarely the same creature two weeks in a row. These encounters aren’t by chance, but instead sought out by the boys. In newspapers and other media they look for strange sightings or freak accidents and then dress up as police, FBI or whatever necessary to pursue their so-called cases. We also learn about the Colt and John Winchesters Journal, the latter holding information about all the monsters he had encountered in his time. Both items are frequently referred to or used after their first appearance. The Journal even seems to be like a Wikipedia for everything monster-related as it provides an answer to all the questions the boys have whilst searching for a way to defeat their foes. Another big topic besides the search for their father is the search for revenge. I have not mentioned this in the summary, but Sam’s reason for joining his brother wasn’t to find his/their father. He wanted to kill the Demon that not just took his mother, but in the pilot also took his girlfriend. Driven by revenge he feels their cases to be bothersome instead of a good/the right thing to do for the people suffering from the monsters. In this Season we see Dean as the boy/man who would follow his father’s words to the letter and Sam as the rebellious kid that rarely agrees with either of them. Their arguments are petty and childish and don’t always seem genuinely motivated. While it is unsatisfying that most of the plot is carried by dialogue of the brothers at the end of the episode – usually in or around the Impala -, it still isn’t that bad a reoccurring pattern. Though this is what makes it difficult to review it properly. A plus point goes to the diverse range of monsters. When I first watched the show during its original run on television (back in 2007), I was quite afflicted by it. A scene from the episode “Wendingo“, never left my memory. But when I re-watched it, it wasn’t as exciting any more. Though, I cannot tell if this was due to the show or my changed point of view. But I do believe it has a lot to do with the latter as seven years is quite some time (It would be ten if I had watched it on American television). You need a magnifier to see the plot in this Season and the initial thrill of meeting new different monsters is soon replaced by the predictability of the episodes’ outcome. Still, it is an interesting concept, with some surprises and it has a finale cliff-hanger, where you simply want to know what happens next.